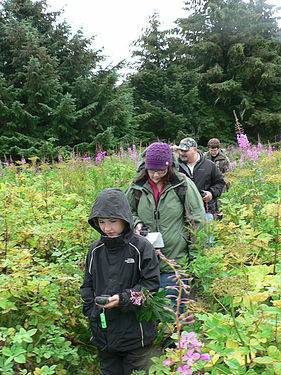 Alaskans Afield provides fun, safe, hands-on learning of outdoor skills. Skills taught are related to a variety of outdoor activities such as fishing, hunting, camping, map/compass, geocaching , cold weather survival, archery and more. Classes are designed for both youth and adults. Bring a friend or the entire family and enjoy time together learning new outdoor skills. Classes are kept small so that participants receive plenty of one-on-one interaction with friendly, supportive instructors. Currently, classes are being offered in Juneau and the Mat-Su. Classes may be 3 hours long or extended over several sessions depending on the topic. We want classes to be accessible to all those interested in learning, the program fees are kept to a minimum and scholarships are available.